I know it might sound kind of weird to many of my male readers out there, but one thing every man needs to learn how to do is properly wrap a gift. Yes gift bags are easier, but nobody likes pulling a gift out of a bag. There's nothing quite like ripping through a nicely wrapped gift like a Bigfoot ripping through a large pizza. If you're going to wrap, might as well make it some dope wrapping paper. Personally, I typically only use craft or shipping paper for my gifts. Unless of course I find some super sweet paper I simply can't pass up on. 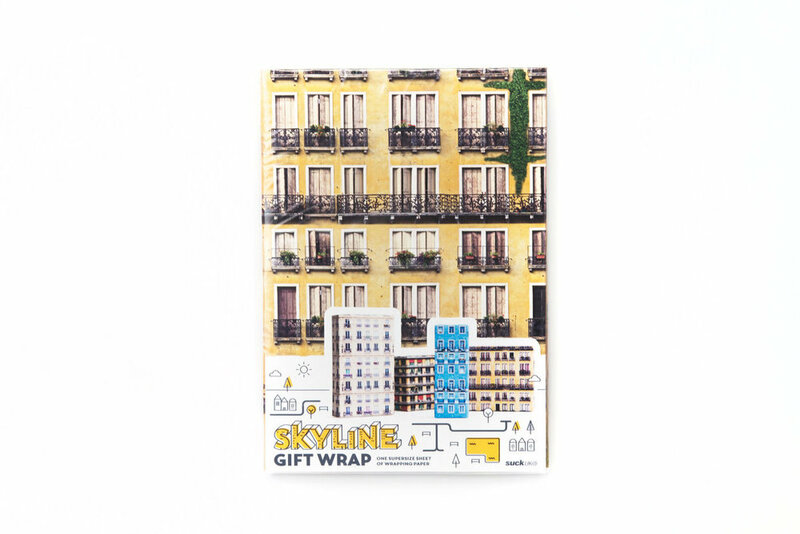 Like this nifty Skyline gift wrap, plus it's only $5(never mind the $22 shipping to the U.S.). Essentially what this paper does is make your boxy gifts into 3D buildings. Worth the 5 bucks for some cool points? Yes. Worth the 22 bucks for shipping? Nah. Lets get some custom made paper here in the states. While we're at it, how about we make some gentlemen wrapping paper. We can call the company "Wrap Like a Man."